I was born in Toronto and reside in Phoenix, AZ. I am married (23 years, 16.2 Canadian years), have two awesome kids and two dachshunds Bagel (sadly passed away) and Lindzee. Schools I attended and even graduated from include—University of Western Ontario, Arizona State University and the American Graduate School of International Management (Thunderbird). I am focused on the innovation in personal finance and do-it-yourself investing. I make early stage investments through Social Leverage. I write books and occasionally do interviews. 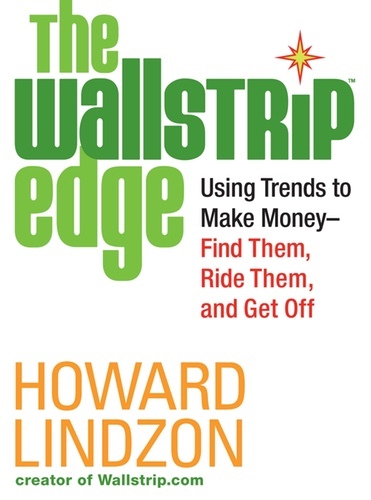 Howard Lindzon is an irreverent buzz machine who powers through wall-to-wall meetings on five milligrams of Adderall. A prolific blogger and serial entrepreneur (StockTwits, a Twitter for traders, is his crown jewel), Lindzon is founder and general partner at Social Leverage, an eclectic seed fund. He typically finds entrepreneurs before they find him. 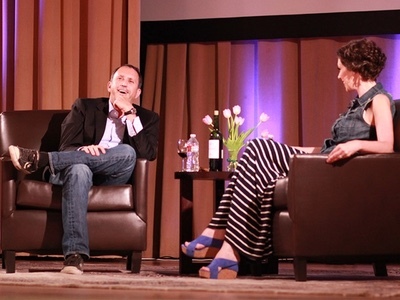 Here’s what he likes: founders who show grit, solve problems and won’t crumple in chaos. Here’s what he ignores: business-news TV and spreadsheet-based decisions. His fund’s average investment: about $600,000. In the Summer of 2006, I created Wallstrip and we aired over 300 episodes. In May 2007, Wallstrip was purchased by CBS. My hobbies include golf and cycling. I am an empty nester (I own and operate two millennials) and expect my amazing kid to boomerang home after college. I am in pursuit of the perfect sleep solution. Endless bad ideas—trust me! Get in touch if you’d like. If you buy my books on Amazon I can recover one share’s worth of my position in the $TWTR IPO. My first book was written in 2008. I wanted to call it “The Twitter Edge,” but the people at Hachette thought they knew better. 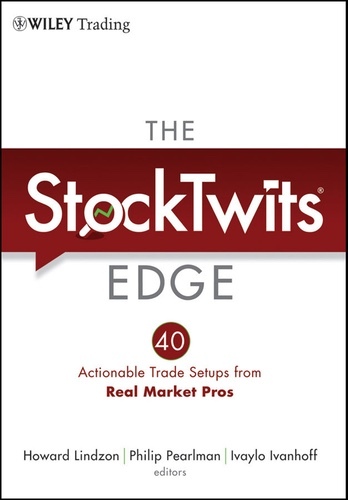 The book is easy to read and follow on the subject of trend following. I explain the trends I believed we were in the midst of. I explain how I spot trends and follow along. I discuss my strategy for selling. I urge you to turn off TV and avoid news. It turns out the Twitter trend was dead on. The identity trend remains a huge trend and I discussed Lifelock at the time. It is now a successful public Company. I was early discussing robots, but today (November 2016) iRobot is at all-time highs, which I covered in the book. It is worth a read even today. My latest book, written last year and published in 2015. My friend Ivaylo Ivanov and I have run MarketWisdom.com together for years, and we decided the time was ripe for us to write a book together. My first book was about trend following and this book is about finding trends using recent example. Ivan and I walk you through hundreds of examples to help you understand how to find and ride big winners. Why look for the next Apple or Starbucks if they may themselves continue to win. We believe that you should invest for profit and joy. We also believe you can and should invest to not just match the S&P, but to trounce it. In 2011, I got the writing bug again and worked with my good friend Phil Pearlman to write what really is an update to The Wallstrip Edge. We spoke to some of our favorite contributors on Stocktwits to uncover their best setups and strategies for making money. 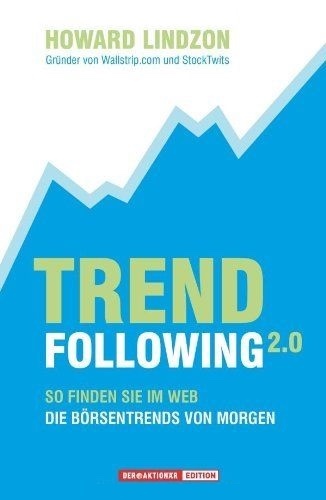 Trend Following 2.0, only available in German for some reason. A collector’s item no doubt. I love what I do and like to talk about it. Most weeks you’ll find me on the television or a podcast somewhere. Here are a few of my favorite appearances. In this conversation, we cover my investing history and my take on the FinTech investing landscape. From cryptocurrency to digitally native brands and everything in between, I break down the new investing economy and how millennials and technology have changed everything. In March 2014, I sat down for a Pando Monthly interview with Sarah Lacy which covers just about my whole investing career. Love how this one turned out. Here’s my CNBC spot where I explain StockTwits and Vertical Know How. It went about as well as could be expected. I wonder why they don’t call me anymore? Bloomberg had me on to discuss the biggest technology companies in the world. I had a chance to dive into my thesis of the 8-80 consumer brands including Amazon, Nike, Facebook, Google (YouTube) and UnderArmor. This is one of my very favorite interviews. Michael Covel invited me to appear on Trend Following Radio and talk about investing and trend following. In November 2016 I was invited to speak at Summit 2016 for the Entrepreneurship at Cornell program. I talked about the new era of Social Leverage, the power of the millennials and of course how I invest in public and private markets. I like how it turned out.